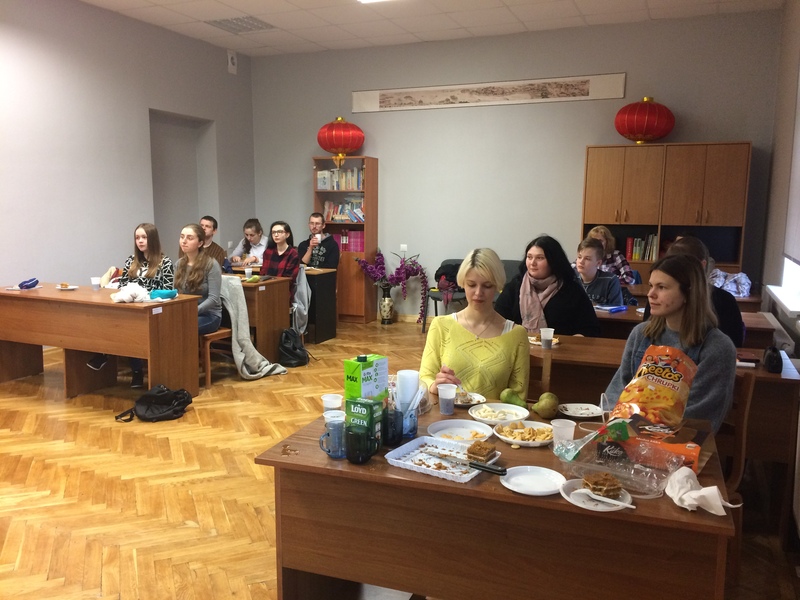 Local time at 19.4.2018, the Chinese culture experience activity was hold successfully by volunteer teachers Bai Bingyu and Sun Xiao at Confucius Classroom, Daugavpils University. 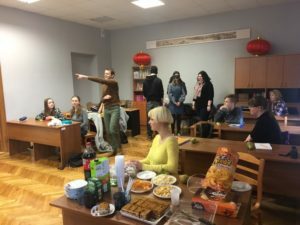 At first, the students were divided into two groups. One player is assigned to each group. The players completed different tasks according to the Chinese instructions of their team members. 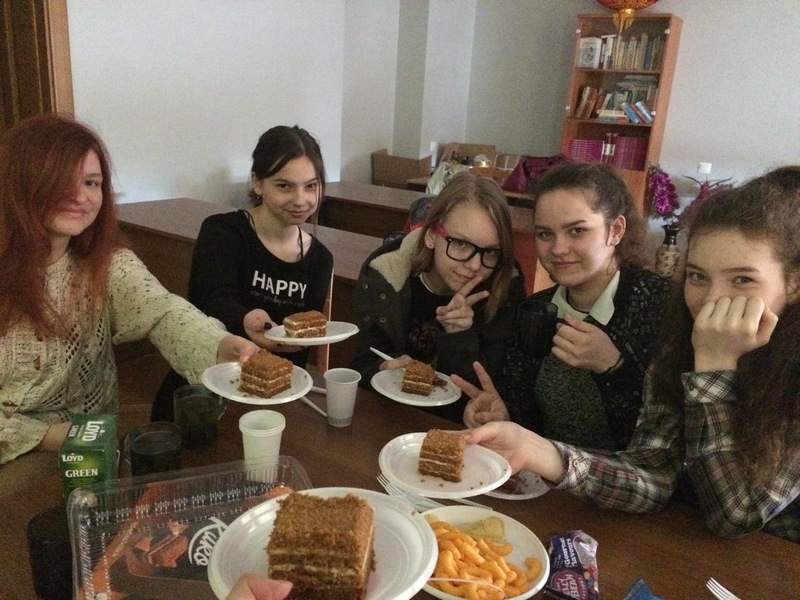 The group performed fast and correctly won and received corresponding rewards. Then everyone came to the second game: Chinese tongue twister battle. There are 8 levels of tongue twisters from the easiest one to the most difficult one. Students were fascinated by the changing tones and characters. 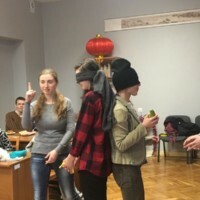 The whole battle was funny and exciting. In the activity, students learned not only more Chinese language knowledge, but also their Chinese proficiency raised by practicing tongue twisters. They really enjoyed the joy of learning during the whole process. Thanks the Confucius Institute at the University of Latvia, Sergejs Polanskis, Director of the Department of Foreign Languages at Daugavpils University, Eva Kasparenoka, Secretary of the Humanities Faculty at Daugavpils University and Inesa Antonova, Secretary of the Department of Foreign Languages at Daugavpils University for their support and assistance in this event.